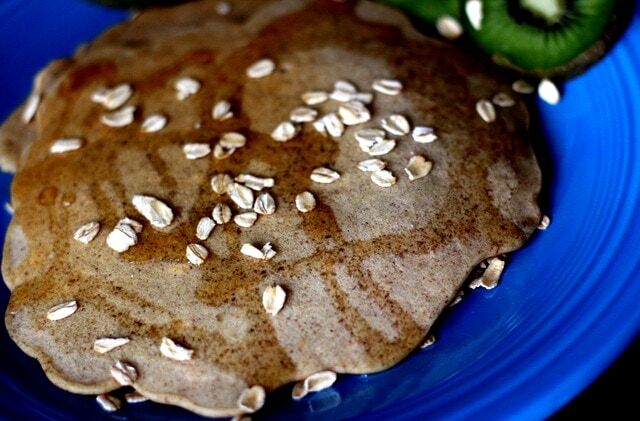 I promised you all the recipe for the gluten free quinoa pancakes I made on Saturday morning, so here it is! Matt and I both really enjoyed these. 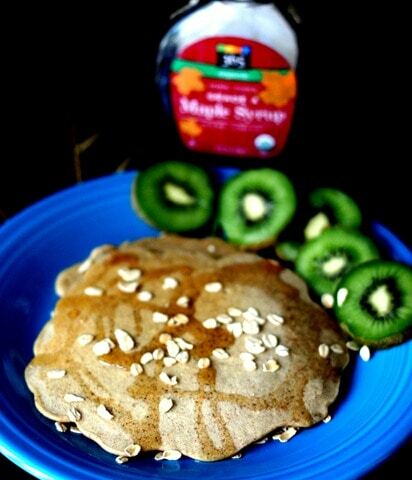 They aren’t huge and fluffy like buttermilk pancakes, so don’t make them expecting that, but they have great flavor and are a fun (and healthy) way to mix it up from traditional pancakes. I found the quinoa flour at Whole Foods a few weeks ago and have been excited to test it out ever since! These pancakes have a nice nutty flavor from the quinoa and are packed protein and healthy fats. Enjoy topped with a drizzle of maple syrup and some fruit! If you want to keep this recipe gluten free, make sure to buy gluten free certified oats. Canola oil can be substituted for hemp oil, but I love hemp oil because it’s a great source of omega 3 fatty acids. 1) In a large bowl, mix dry ingredients. In a separate smaller bowl, mix wet ingredients, then add them to dry, mixing gently until uniform-ish. 2) Pour a large spoonful of the mixture into a greased pan over medium heat. Flip when bubbles form and the edges have hardened a bit. Previous article: Matt’s 30th Birthday! Next article: Matt’s Birthday Dinner! I’ve never made anything with quinoa flour before, but these seem pretty simple! Definitely pinning this for future reference! Those pancakes actually looks pretty good and I will be trying them out this weekend. These look so great! The best part is they’re gluten free! Can’t wait to try them out! Hmm I hadn’t heard that! Interesting… maybe I’ll stick with using it for salad dressing? That’s mostly what I use it for, anyway, instead of olive oil! Ask Gena and then let us know! 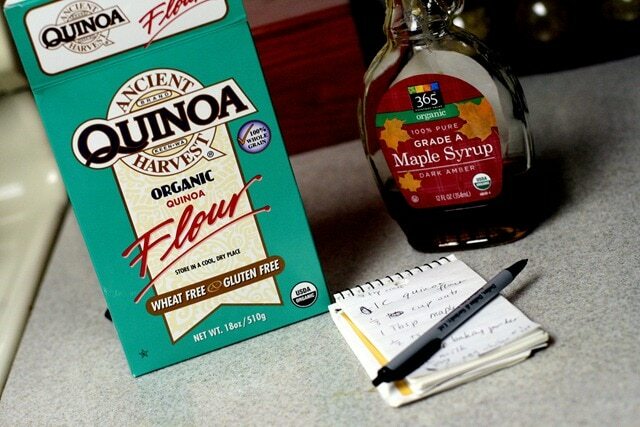 I’ve been looking for quinoa flour – I’ve been wanting to try it! But of course! I already had that noted in the recipe (at the top, right under the servings in my commentary/description paragraph). Oh duh, now I see it! aren’t oats naturally gluten free? Yes, they are! But they are often contaminated with gluten in processing factories, so for people who really need to steer clear of gluten, it’s best to buy ones that are certified gluten free (e.g. not processed in a facility that processes wheat). I am a serious pancake addict, so these look wonderful! Do you think something could be subbed in place of the quinoa flour?